Milk chocolate with peanuts and raisins. 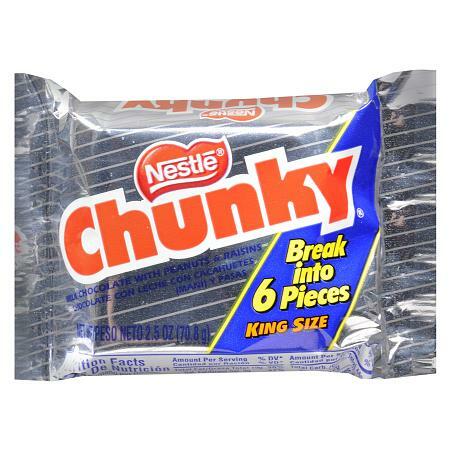 Break into 6 pieces. 0 g trans fat. © 2013 Nestle USA, Inc.
MADE ON EQUIPMENT THAT ALSO PROCESSES NUTS AND WHEAT..